The study of the cosmic microwave background radiation (CMB or CMBR), the residue of the earliest life stages of the universe, has been going on for decades and Planck Surveyor is the latest in a series of increasingly perfected instruments designed to study it. Using the data collected during its mission, ESA presented a first map in March 2013 and a second map in February 2015. The version of the data now published is called the “legacy data release” because it’s the final version. Compared to the 2015 map, it provided confirmation of the precision with which the temperature and polarization of the background cosmic radiation were determined. This is an important confirmation to be able to test cosmological models, starting with the one called the standard model. The final map confirms the model of a universe made up of ordinary matter but above all of cold dark matter, which means confirming a specific dark matter model, and dark energy. A big question remains, connected to the Hubble constant, which provides us with a measurement of the universe expansion because the two methods that are used provide incompatible results. In recent days, an article published in the journal “The Astrophysical Journal” described a new measurement of the universe expansion based on observations of the Hubble and Gaia space telescopes with a value of 73.52 ± 1.62 kilometers per second per megaparsec. Now the calculation based on the CMB applied to the final release data provides a value of 67.4 kilometers per second per megaparsec with a margin of uncertainty that’s less than 1%. Even considering the margins of uncertainty, the two measurements provide incompatible values. The minimum possible one for that based on Hubble and Gaia data is slightly less than 72 kilometers per second per megaparsec and the maximum one possible for that based on CMB is almost 68.4 kilometers per second per megaparsec. It’s an inconsistency that represents an enigma, especially since the two measurements have become increasingly precise over the years so the possible measurement errors are supposed to have been eliminated. Marco Bersanelli of the University of Milan, deputy principal investigator of Planck Surveyor’s LFI instrument stated that there’s no satisfactory astrophysical solution that can explain the discrepancy between the two measurements and opens up the possibility that there’s a new physics still to discover. There are those who hypothesize solutions connected to dark matter or dark energy but these are only hypotheses that are sometimes based on other hypotheses. In fact, dark energy is a hypothesis created to explain the acceleration of the universe expansion but nobody really knows what it is. François Bouchet, deputy principal investigator of the Planck Surveyor’s HFI instrument, pointed out that it’s very difficult to add a new physics alleviating what was called a tension caused by the incompatibility between the two measurements and at the same time maintaining the precise description of the standard model of everything that’s currently explained. 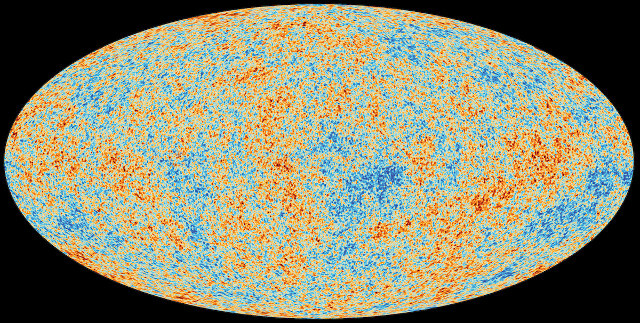 The release of the final map of the CMB will allow more precise studies of the early universe and some article were already submitted to the journal “Astronomy & Astrophysics”. At the same time, increasingly sophisticated instruments with various combinations of their data will be used to study the current universe more precisely. These are tasks that require a long time and the collaboration of many people to find answers to fundamental questions about the nature of the cosmos.